According to the Veterinary Medical Foundation, 36.5% of households in the US own a dog, while 30.4% of households own a cat. If you’re an owner of one of these pets, you know that there is a certain level of “pet proofing” that goes into getting your home ready for your new furry friend. On top of pet proofing your home, you are likely going to want to make sure that your home is going to be friendly and inviting for them as well. There are multiple different ways that you can make your new friend feel safe and comfortable by creating a pet friendly home. Pet Friendly Homes Start with a Good Pet Bed! 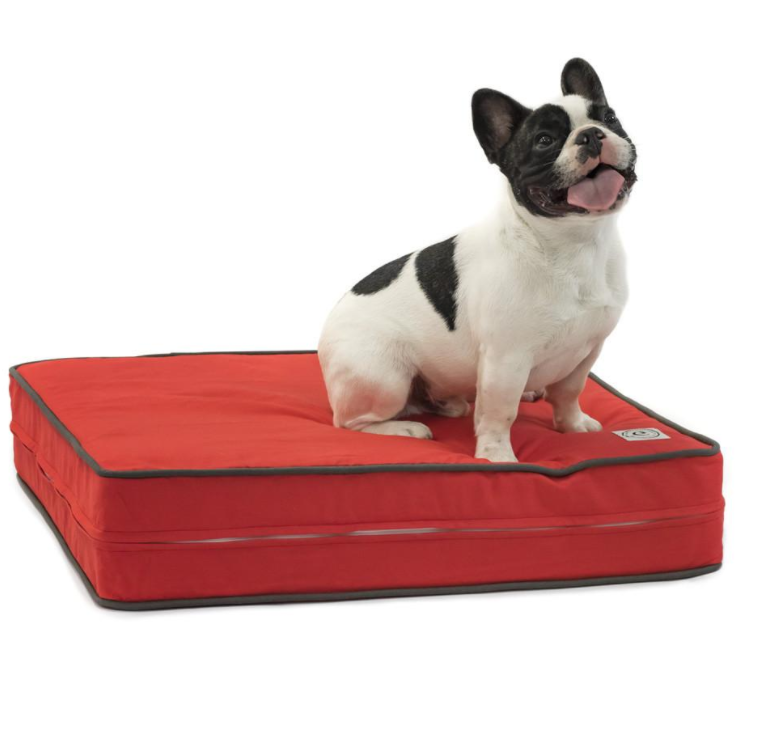 One of the first things that new pet owners buy, especially dog owners, is a pet bed! 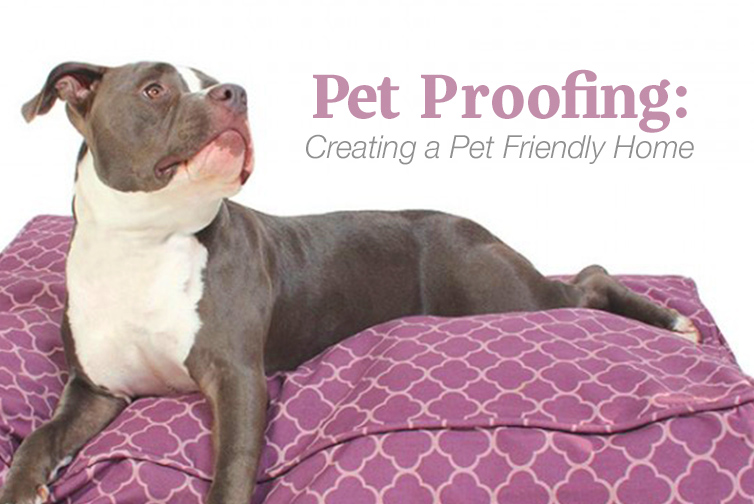 It gives your pet a safe place to call their own that they can rest comfortably on. Especially in the early years, pets can be destructive, so you will want to ensure that you purchase a bed that is not only comfortable, but sturdy and durable as well. The most popular beds are waterproof with a removable cover for easy clean up. This cuts down on the time of your daily routine, while also adding extra protection for those accidental moments! As your dog or cat ages, they will also appreciate a quality bed to help relieve any arthritis they may have. With so many different designs that retailers offer, it will be easy to find a pet bed that coordinates well with your current furniture! In homes that have hardwood floors, rugs are often a great way to help your new companion. 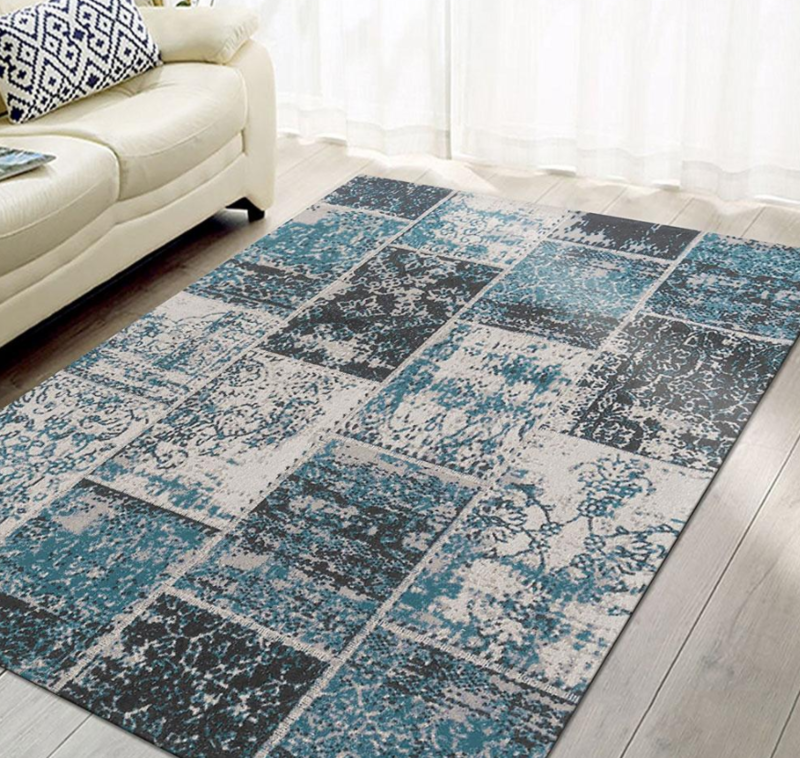 Having rugs throughout the home not only helps bring a room together, but will provide traction for your animal to get their footing as they make their way through the house. Particularly with older animals, they will be thankful for extra footing to help them feel safe and secure. As an added benefit, durable rugs are also a great way to help protect your hardwood floors from pet claws! While you are protecting your hardwood floors with rugs, it is also a great idea to think about the safety of your furniture. Covers can be purchased for many different types of furniture, but they can be a hassle to attempt to remove and launder, while leaving your furniture wide open during cleaning. A simplistic way to keep the fur and dirt off of your furniture while adding a new accent to your living room is to add a couple of throws! They are easy to clean and depending on which one you choose, can be very stylish. Baby Gate, Pet Gate, What’s the Difference? For those with canine companions, you may find yourself wanting to keep them out of a particular room of the house. Whether it be the preventing access to the kitchen for safety while cooking or keeping your dog out of the bedroom for a restful night’s sleep, a pet gate is the perfect solution! While this product might not work well for the vertically inclined cats, it will help to keep your rooms protected and your animal safe from any hazards. If you’re unable to find a gate that is designed specifically for animals, baby gates do the job just as well and may be more accessible in your area. A big secret of animal lovers is choosing flooring and furniture that is similar in color to your pet’s fur. It is undeniable that they will shed no matter how much you brush, so instead of following your pet around to their favorite lounging spots with a pet fur roller, invest in some seating that will help to hide the mess. While this may be a costly investment, you will be happy when you save time and do not have embarrassing leftover hairs on your furniture when guests arrive! If you’re looking for even bigger change, choosing a pet-friendly flooring is also a great step towards having the perfect pet friendly home. When redecorating your home, be sure to keep your pets in mind when choosing the type of flooring you purchase, to ensure your floors last for years to come! Hardwood floors easily discolor and warp, while linoleum and tile are often more durable. A heavy carpet can also hold up well to animals. If you’re interested in the best protection for your floors, it is highly recommended to keep your pet’s nails trimmed at all times! There are many different ways that you can make your home pet friendly, whether that means making changes in your home that are big or small. Nearly all of these ways make life easier for both you and your pet. If you decide to take the time to decorate in the style of your pet, or simply choose to purchase a bed, seasoned pet owners know that the investment is worth it and your newest animal companion will thank you! Do you have any suggestions to create a pet friendly home? Sound off below in the comments section!